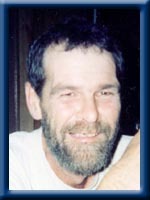 COOMBS – Timothy B., 53, of Milton, Queens County, passed away peacefully in Queens General Hospital, Liverpool on Wednesday, May 19th, 2010. Born in Liverpool, he was a son of the late Currie and Vera (Porter) Coombs. Tim worked for Aberdeen Paving for 15 years out of Yarmouth. He loved hunting and fishing and enjoyed woodworking but, most of all, he loved spending time with his grandchildren. He is survived by his wife Sandra (Risser); daughters: Mindy Coombs (Darrell Warrington) of Liverpool. Melissa Coombs of Toronto and step-daughter Renee Robarts (Nathan Whynot) at home. Step-son Ryan Robarts at home. Brothers: Graydon (Jean) of Brooklyn, Lindsay (Marilyn) of Toronto, Stephen (Shirley) of Ontario. Brother in law Donnie Peach of Greenfield. He was predeceased by his sister Betty Peach and infant brother Stephen. Sincere condolences. Wishing we could be there but know that we offer our thoughts and prayers. Graydon, We were sorry to hear about Tim. Our thoughts and our prayers are with you and your family. Hold on to all the memories..
Sending y’all my love and support. Wishing I could have made the trip with my folks last week. So very sorry to hear of your brother’s passing Stephen. Our prayers are with the family and with you and Shirley. sorry to hear about, tim. hope everyone is doing, ok. take care. So sorry to hear of your loss, Tim will be missed on the hill. Our prayers are with your family at this difficult time. May your memories give you strength at this difficult time and may you take comfort in knowing an angel is watching over you and your families.. I love you!! Thinking of all of you back home, our thoughs and prayers are with all of you! Sorry to hear of Tim’s passing, will always remember the good times we had while working together at Mosher and Rawding. Our thoughts and prayers are with you all. Sandra: Thinking of you and your family at this sad time. May you find comfort in the fact that his pain and suffering are over. God Bless You. Our thoughts and prayers are with you at this time.With deepest sympathy. sorry to hear of your loss…i grew up on milford street when i was younger and tim and i hung out…haven’t seen him since the 1970’s…i will remember him though. We are so very sorry for your loss.Our sincere sympathy and prayers are extended to all of Timmy’s family during this difficult time. On behave of myself and my family, I would just like to thank you all for your kind words and prayers. So sorry to hear about Tim. It has also been years since I have seen him. We had some laughs. My sympathy & prayers for comfort to your family. I’m saddened by the news of Timmy’s passing. I’ve lived next door to him and his parents all my life and our parents were always good neighbours. My sincere sympathy is extended to his immediate family and to his brothers. Tim has been called home to be with his parents and sister. The trials of this life are now past for him. Though we are saddened by the loss, others rejoice to see him again and he them. Trust in God that all is His will. On behalf of the Canadian Cancer Society “The Lodge That Gives” please accept our sincere condolences at this time. I am sorry to hear of the passing of your brother Tim. Please know that you are in my thoughts and prayers at this time and always. I.’m so sorry for your loss……..
You are forever in my prayers…. We wish to express our deepest sympathy regarding the recent death of Tim Coombs. We had kept him in our prayers, as we were aware of his illness. Steven is our brother-in-law. My name is Gerry Kusluski and Shirley is my sister. his brother before he passed away. HI Sandra , We are so sorry to hear about tim . my dear , HE will be missed dearly . O ur throughts are with you & your family . I f there is anything we can do please feel free & let use know . Mr. & Mrs . Maynard Carrier. So sorry to here of the loss of your brother. It was a sad news to hear about the passing of Steve’s brother Tim. Sheila and I would like to express our sincere condolences to Steve and all his family in these difficult times. I am so shocked and sorry to hear of Timmy’s passing. I grew up next door to Timmy all my young years and we had a lot of good times together, with a lot of great memories. we wish to express our sincere condolences to you Steve, and all your family. Timmy will be missed . Our sympathy to all his family . I was so sorry to hear of Tim’s passing. Thoughts are with family and loved ones. I am so sadand sorry to hear of my uncle Tim’s passing. I grew up next door to Timmy all my young years and we had a lot of good times together, with a lot of great memories.